Click on the thumbnail to see it enlarged. That’s a very good idea. Nice thinking, could be a subversive nursery rhymes theme, nvedala. They are a nightmare to draw, I’ve only tried drawing spiders once. Thank you Rod. 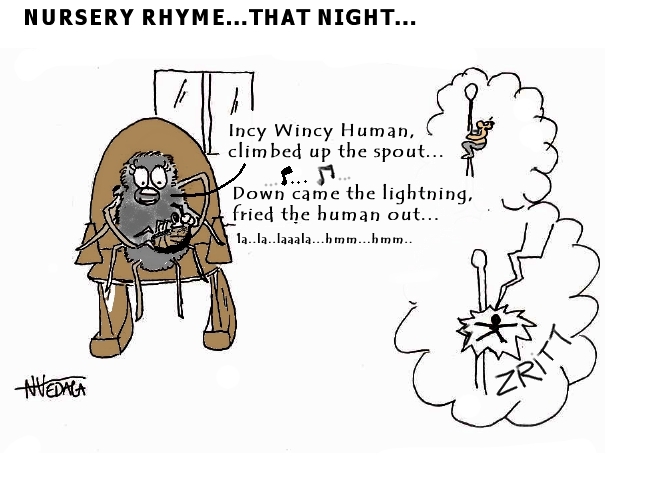 Subversive nursery rhymes, it will be; I’ll try few more in this theme.